Click here for the high-quality, online image. 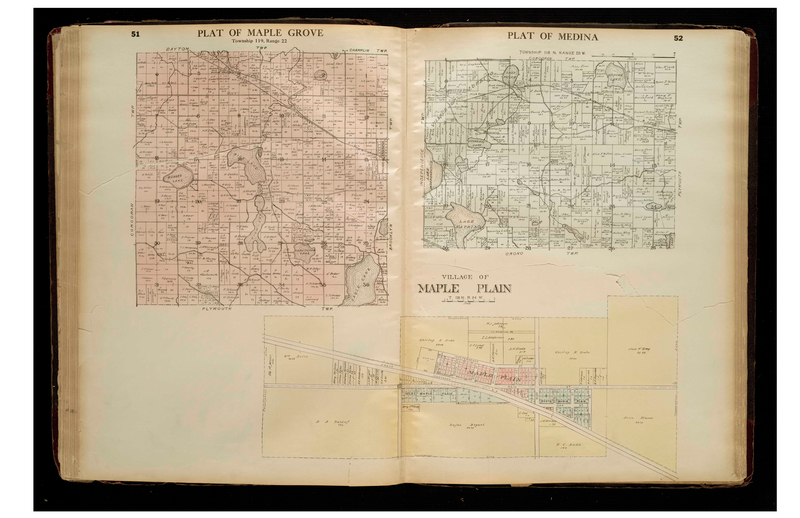 High-quality images of the 1873 and 1898 plats have not yet been found for our website. The ones below will have to do for now. The city of Maple Grove is located in the north central part of Hennepin County. At one time, it was only inhabited by Winnebago Indians who were moved from Wisconsin to Maple Grove by the Federal Government because “no one lived there.” That all changed in 1851 when Louis Gervais and Pierre Bottineau arrived and staked their claims. 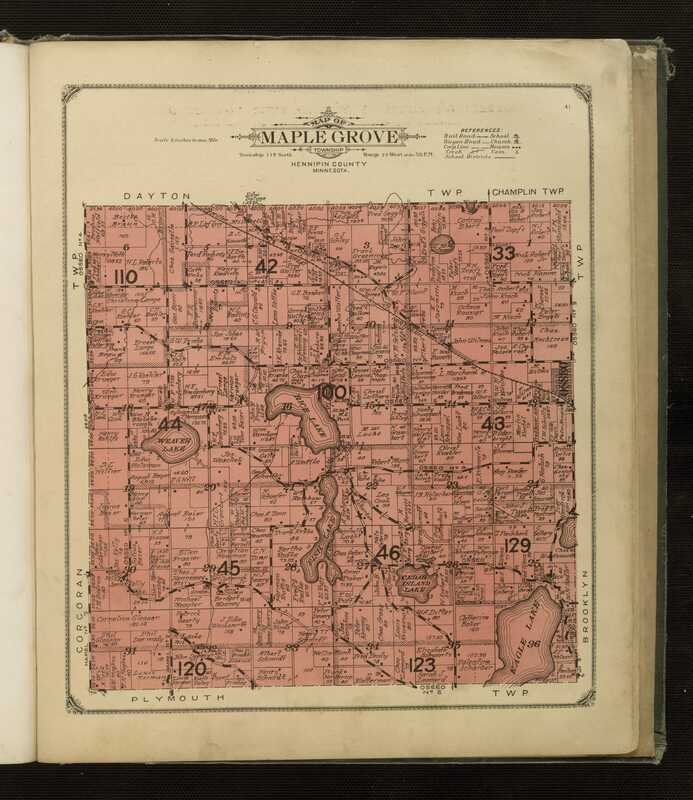 W. E. Evans, Harvey Abel, Patrick Defer, and O. R. Champlin also settled in Maple Grove, all prior to 1855. They were allowed to buy their claims at the fair market price and could not be forced out by land speculators.